Audiences across the US and the Czech Republic have thrilled to this remarkable, uplifting story from The Greatest Generation. 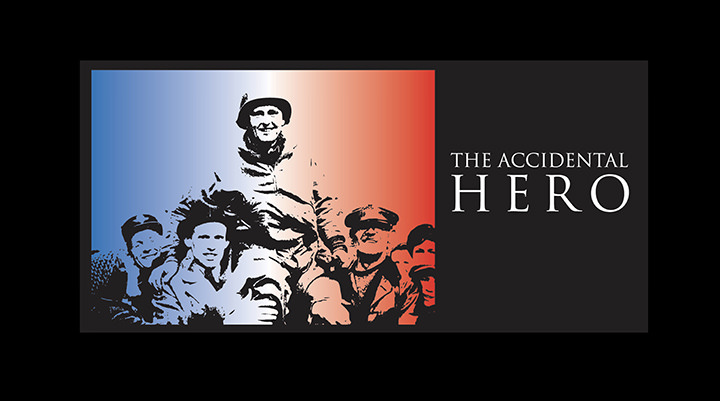 The Accidental Hero is a multi-media one-man show about a WWII American officer who miraculously liberates the Czech villages of his grandparents. It&#39;s a true story, written and performed by his grandson. This touching show runs from belly laughs to tears. Patrick Dewane takes on a dozen different roles as he powerfully recounts his grandfather's journey from Omaha Beach, the Battle of the Bulge, and the end of WWII. Through a grant from the Washington County Riverboat Foundation, all veterans will be admitted free of charge. Veterans should send an email to: [email protected] to reserve your tickets.